Redesigned standard website to a responsive website. The new user friendly website makes viewing the site on various size monitors much easier. 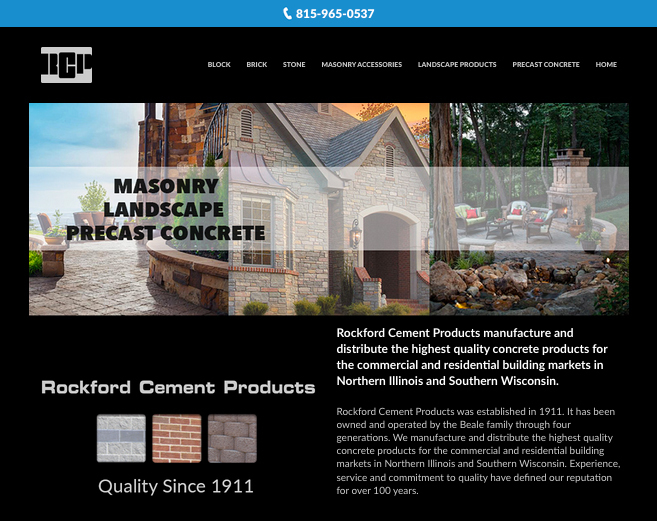 PS Designs provided Rockford Cement Products with a website design that is well organized and easy to navigate.